Big news today, that starts with a thank you. We are happy to present you an absolutely exciting Tournament Kit that would not have been possible without the help of two partners. Their support and kindness helped us all the way long, but most importantly they pointed us in the right direction when we were setting up this Tournament Kit. To help keep our community and the game alive, they decided to give us a “non-profit” deal, a whooping 40% discount! 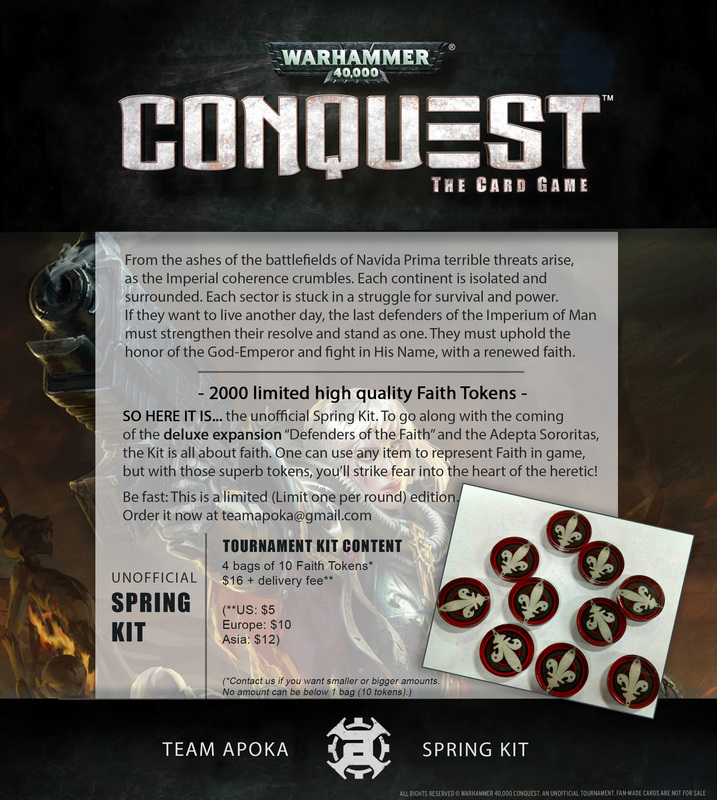 Their tokens are printed in full color on a high quality acrylic, and an artist made a unique art for Team Apoka. Yes. The tokens of the TK and the prizes tokens are the same.